Tablet Hardness measures the strength of the tablet to withstand mechanical stress during packaging, shipment, and handling by the consumer. 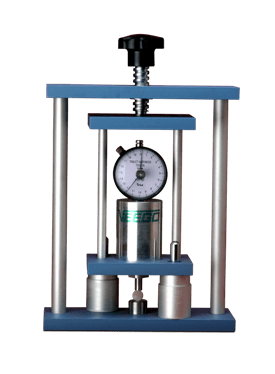 Measures thickness, width, diameter, and hardness accurately. Measuring Units: mm, Kg, kp and N.
Local tactile keypad and QWERTY keyboard for data entry. Equipped with Microcontroller based circuitry. 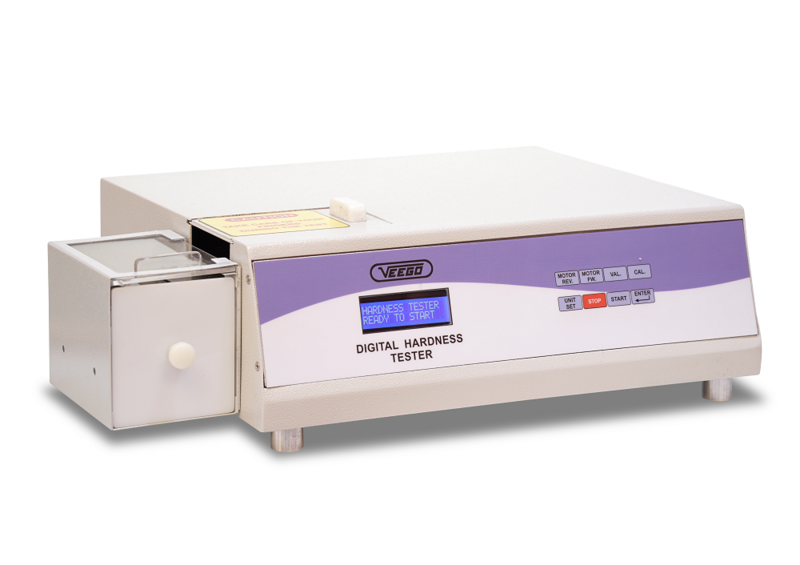 Specially designed to measure hardness of the tablets. 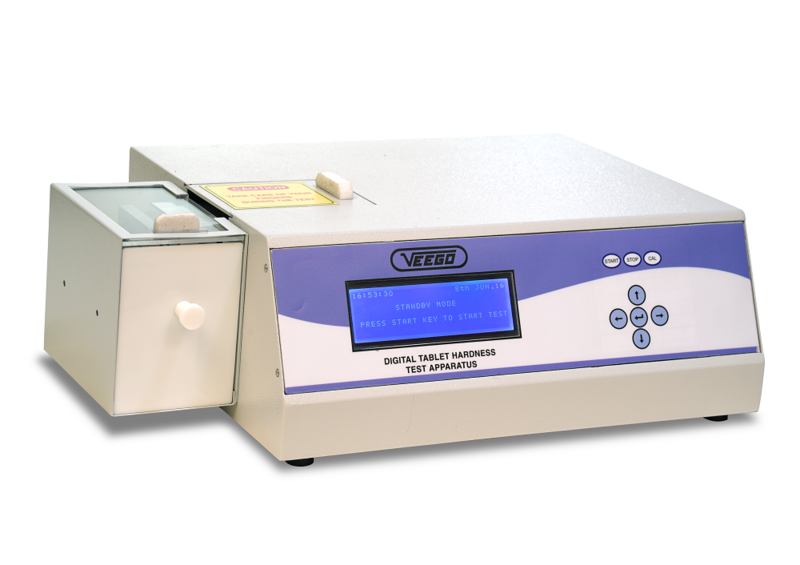 Measures hardness quickly and accurately.